Filed under higher-education on January 14, 2013. Community colleges have several stigmas. One in particular is a sticky-wicket. That being cost. We strive to maintain a low cost for our students. We pride ourselves on being the most affordable college in the state. Then THAT question pops up, “How can a program that costs so little have quality?” I’ve heard this referred to as the Wal-Mart syndrome. Sure you can go and buy the same product and save a few bucks, but is the entire experience worth the time spent? In our community, we face this question regularly and it is compounded by the fact that we have a university partner next door – literally! We share a campus, parking lot, library and even adjunct faculty; however, if you were to survey our community, most would probably state that the quality and rigor of the product next door was greater and of better value. In an effort to get the word out, our Chancellor prepared an op ed piece to better communicate our product and message. You can find it after the click below. I like what he has to say and I bet that when people read the piece they will be surprised by the quality of our programs and students. After your review, feel free to drop a comment and add your thoughts to the debate. Ivy Tech Community College is celebrating its 50th anniversary this year. We’re certainly proud of our heritage – but equally proud of how far we’ve come as an institution. Ivy Tech has grown to become the largest singly accredited community college in the nation. We are the largest post-secondary institution in the state. More freshmen are enrolled at Ivy Tech (18,564) than at Indiana University Bloomington (4,695), Purdue University West Lafayette (3,434), Ball State University (3,159), Indiana State University (3,175), and IUPUI (3,106) combined. Forty-one percent of the state’s freshman class is enrolled at Ivy Tech Community College. In addition to providing the front door to higher education, through which students can earn an associate degree for less than half the cost of the first two years at most universities and then continue to work toward a bachelor’s degree at the university of their choice, Ivy Tech also provides educational instruction of the highest quality. I am proud of our faculty. Many hold doctorates in their respective fields. All other full-time faculty teaching our freshman and sophomore level classes are required to hold no less than a master’s degree in the field in which they teach. Our adjunct professors possess full academic credentials and also work in their fields. This provides students an opportunity to learn from professionals currently in the workforce. 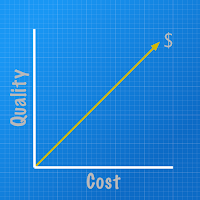 The evidence of high quality is incontrovertible. For example, Ivy Tech’s RN students complete a two-year associate of science degree, then sit for the NCLEX licensure exam. Four-year nursing program graduates take the same exam. Columbus nursing graduates passed this exam at a rate of 96% in the first quarter and 98% in the second. These are among the very highest marks in the state, including those from four-year universities! Columbus surgical technology graduates passed their licensure exam at a rate of 100% for the second straight year. In order to provide students with an education with credits that transfer, institutions must be accredited. Ivy Tech is accredited by the North Central Association, which oversees accreditation of colleges and universities in 19 states. The process of attaining and maintaining accreditation is rigorous. As a result of the high quality of instruction at Ivy Tech and the fact that its programs are accredited, the state’s research universities all accept Ivy Tech credits and continue to partner with us to create even more pathways for Ivy Tech graduates who want to pursue bachelor’s degrees and further their education. The School of Art and Design holds program accreditation from one of the most stringent and prestigious bodies in academe, the National Association for Schools of Art and Design. Our program is one of only seven other community colleges in the nation to receive this accreditation. Our paramedic science program was the very first in south central Indiana and among Ivy Tech’s 14 regions to receive recognition from its accrediting body, the Commission on Accreditation of Allied Health Education Programs. We are equally proud of our students and graduates. Research has shown that Ivy Tech graduates who transfer as juniors to universities are more successful than those who started at the university as freshmen. Our graduates have gone on to become knowledgeable and dedicated leaders in their fields. Last year, over 800 area residents transferred university credit from Ivy Tech in Columbus, a number that nearly doubles every year. Our sister institutions have come to realize that the rigor at Ivy Tech is no less than that which students would experience at their university. Our students handle the same responsibilities as do their students—they write research papers, attend lectures, run experiments, give speeches, and do homework. They also create friendships, have fun, learn from one another, participate in clubs, play intramural sports, and develop a love for Ivy Tech. It should be no secret that Ivy Tech is the most affordable college in Indiana. But offering a more affordable education doesn’t equate to offering a lower quality education. Our mission is to offer a high quality education at an affordable price for individuals in our service area. We have striven to do just that and believe that we have succeeded. We look forward to continuing to do so.